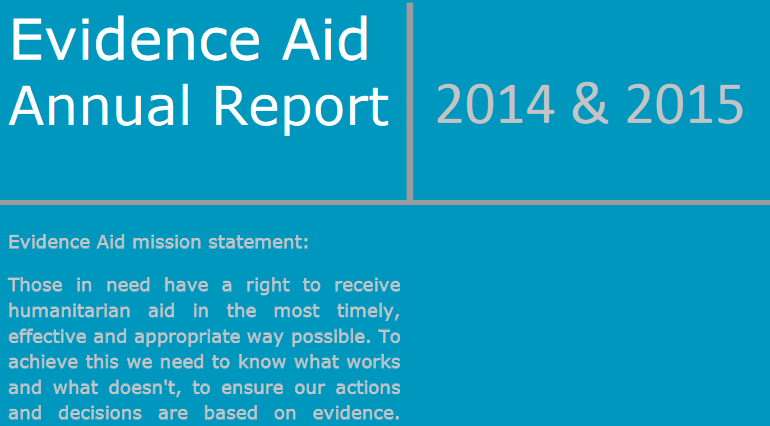 Evidence Aid | Inspiring and enabling those guiding the humanitarian sector to apply an evidence-based approach. Inspiring and enabling those guiding the humanitarian sector to apply an evidence-based approach. Source: Evidence Aid | Inspiring and enabling those guiding the humanitarian sector to apply an evidence-based approach.